It’s impossible to believe that we are busy reflecting and preparing for the cafe to open out into the courtyard…..it’s our favourite time of the year. We have plans to make it extra beautiful this year and are working hard to make things , plant things, prepare the menus and create the space that we have all come to love. We hope that you enjoy the photos of the last year….so many events….weddings, parties, crochet, singing, in short a real year of celebrations and fun. We are delighted to be hosting another bite size breakfast extravaganza. 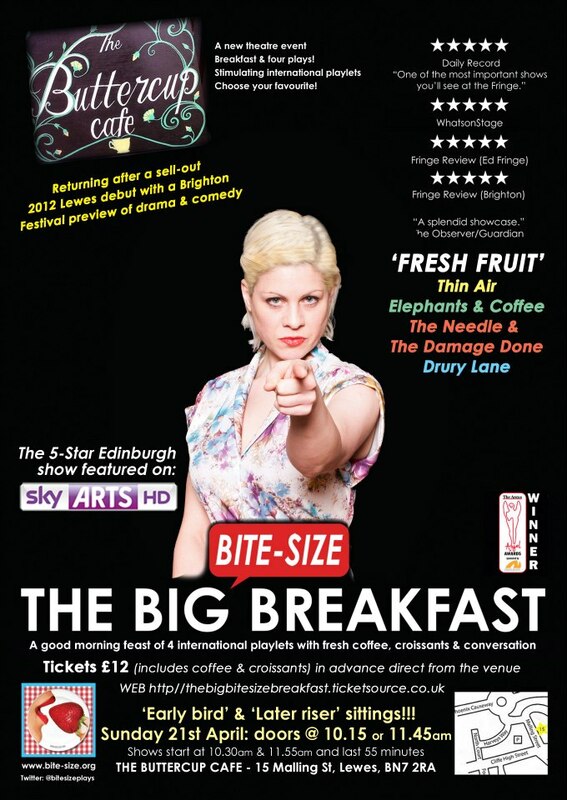 After a very successful time at the Edinburgh festival we are delighted to be able to offer you theatre, croissant, coffee….A perfect Sunday treat. Please get your tickets from the online site. Such a fantastic mixture of songs, entertaining and enlightening. It was very well received by all who attended. Thankyou so much everyone for coming and sharing in our special night. New theatre breakfast date and Mexican evening events to name but a few……. We are pleased to announce the arrival of Forget me Knot as part of our October Feast celebrations. This promises to be a truly original dining experience. See you there! Please come and join us for an evening of South American Flavours….decore….food….sounds. As always all welcome. We look forward to seeing you. A chance to make all your crochet dreams come true… at a Crochet Tea Party. 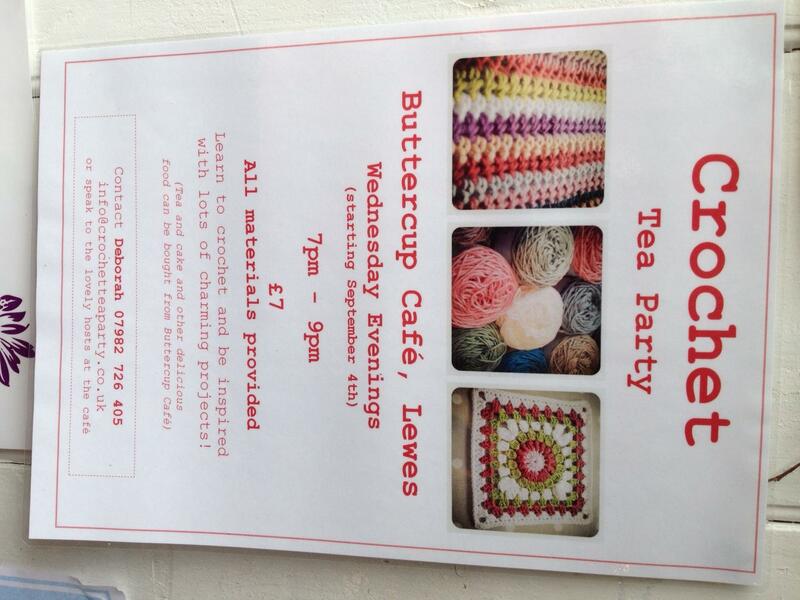 Come and learn to crochet at The Buttercup Cafe on Wednesday evenings 7pm to 9pm, starting on September 4th 2013. 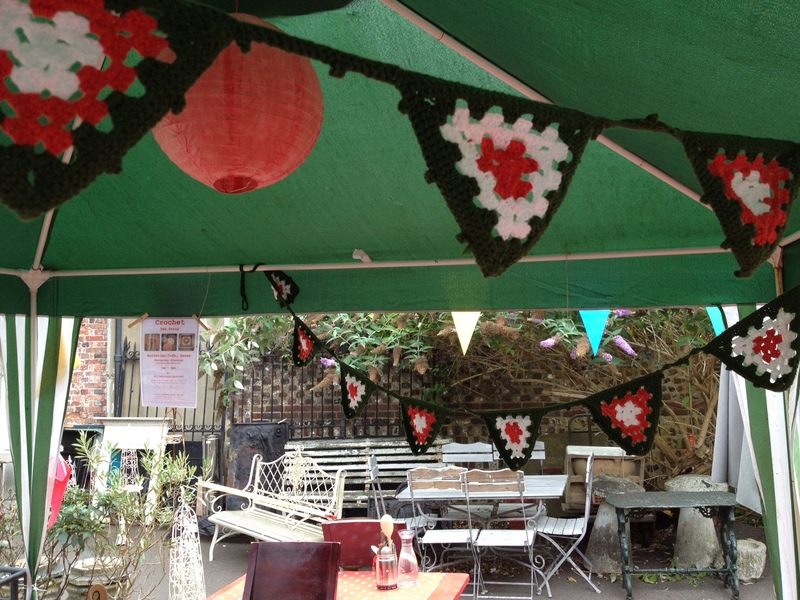 If you are as partial to a bit of crochet bunting (as we are) then you need to get yourself to the very best crochet tea party in town! £7 per person; all materials provided. Tea, cake and other delicious treats from the cafe kitchen will be available to buy during the evening.